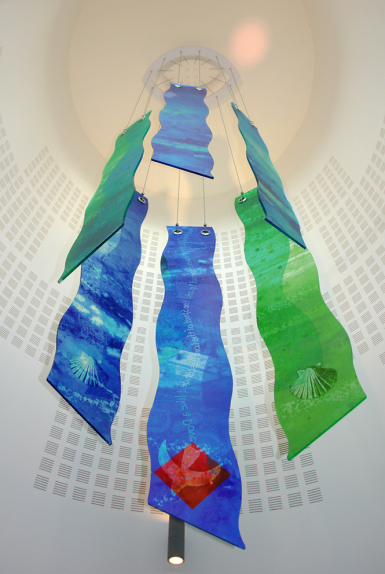 St.Felix in Haverhill, Suffolk gets a beautiful hanging sculpture, on the eve of this newly built Catholic Church being handed over to a delighted congregation. 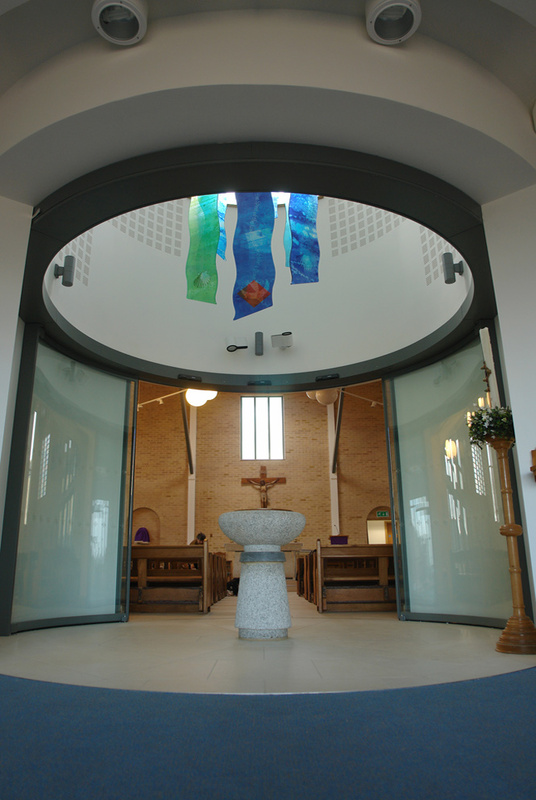 Built on the site of the original church using money raised entirely by the congregation, the new building provides a wealth of facilities including a beautiful worship area, kitchen, meeting rooms, and a stunning entrance area complete with font and hanging sculpture. The sculpture takes Baptism as its theme, with reference to Matthew 3:16. Images of the Holy Spirit in the form of a dove and scallop shells, the symbol for Baptism, can be seen in the lower areas of the panels, which have been hung on stainless steel wires from the roof of the 8.5m high tower.